Kristine was such a beautiful bride!! Kind of like Jackie O. 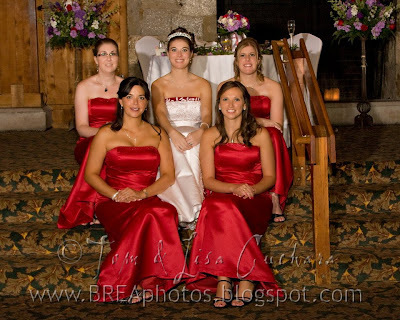 Look at these lovely ladies...the RED is just stunning! Just look at the two of them -- so happy!. 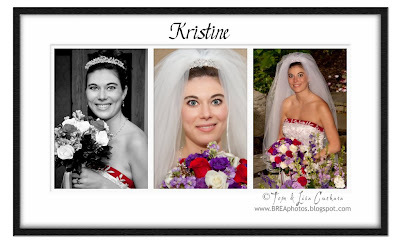 I would bet that Kristine's jaw hurt the next day because once she walked down the aisle she never stopped smiling all day! 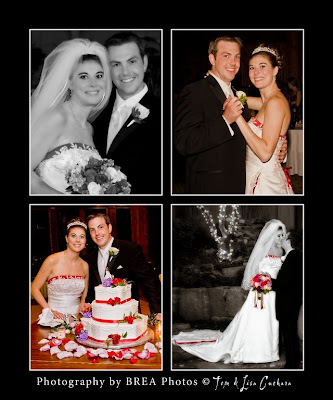 The rock garden at the Heritage was a perfect place for their wedding ceremony. The beauty of the place! I do believe that the rock garden had the natural beauty of the Fibonacci spiral and abided by the golden ratio! John surprised Kristine first by having one of her bridesmaid give her a card right before the wedding and then again by having a bagpiper step onto the balcony and play just a she started walking down the pathway leading to the rock garden. Check out their video here. You are welcome to download and share it, post it, etc. -- please just pass along our name as the photographer. WOW the photos are really nice!! I would love to see more! i was the florist for Kristine & John, if you could send the link and password, I would love to see some more of your work, its Great!